Enjoying what Lo Coco's is best known for - our unique, light, fluffy, and flavorful pizzas as well as other menu offerings. 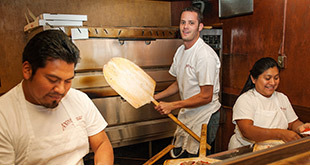 Lo Coco's Authentic Italian Pizzeria was founded by the Lo Coco brothers after immigrating to California from Sicily, Italy. Their idea was simple - to share both their culinary and cultural heritage in their new home. 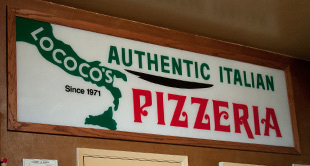 In 1971 Lo Coco's Authentic Italian Pizzeria opened in San Rafael, California. Tuesday - Sunday: 4:00 p.m. - 9:00 p.m.